So you have looked after yourself, creams, facials, avoided the sun, probably dabbled in anti-wrinkle and filler injections. These all have been effective and good over the years in keeping a refreshed look. Do you now find into later 40’s and 50’s that the usual things don’t work as well anymore and you are noticing looseness or sagging of the neck and lower face and around the eyes. Facelift Surgery may be your most effective option. Facelift Surgery is an operation designed to correct the effects of ageing to the face. As we get older, the effects of sun damage as well as the natural ageing process leads to the skin of the face losing its elasticity and tightness. Gravity effects can cause some degree of sagging particularly around the eyes, cheeks, jowl area and neck. Skin wrinkling is a result of these factors. Operative procedures, such as a face and neck lift, brow lift and blepharoplasty (eye lift) are designed to reverse the effects of ageing. This is achieved by removing and tightening excess loose skin as well as underlying tissue of the lower face, eyes and brow. 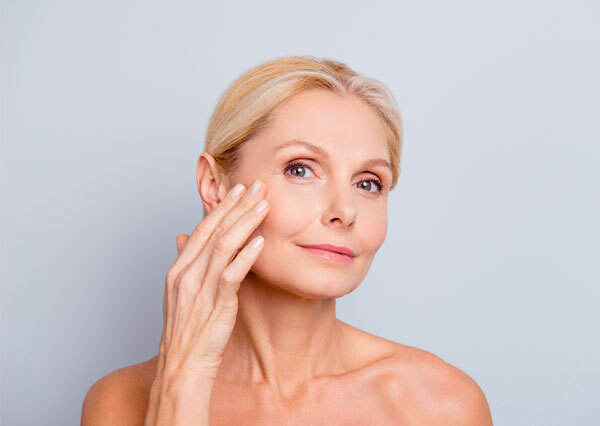 Modern facelifting performed by Dr Drielsma involves tightening of the structural deeper layer of the face known as the SMAS layer as well as the skin layer. The judicious use of fat grafting to the cheeks, eyelids and temple is also used to regain youthful volume. Fat grafting of the face either alone or in combination with lifting procedures has grown in popularity in recent years. After a facelift procedure you should not expect to look a different person but to look “well” or “refreshed”. It is common to find following facelift surgery that you receive many compliments of looking well and not tired when seen again by friends. In order to achieve this, a facelift will involve cleverly placed and hidden incisions in front and behind the ear and in the hair lines. These incisions are designed in such a way that no one will be able to tell you have had surgery. The operation takes 3-5 hours depending on the extent in each case and is done under general anaesthesia. One nights hospitalization is generally required. Following the operation your face will be covered by a well padded dressing for 24 hours. Your face may feel strange and a little tight and pain along the incision lines is minor. Simple pain relief prescribed should adequately deal with this. Generally you will require 1 nights in hospital. In some cases surgery can be performed on a day stay basis. The first night is usually spent with the face bandaged but a day or so later the bandages are removed and the operation inspected and redressed. When can I return to activities? Considerable bruising and swelling over the first week or so may be encountered. Expect this to settle rapidly at least by the second week. You will have stitches along the incisions. Dr Drielsma will remove these at about 7 days. Generally speaking you will be confident and happy to engage in social contact 3 weeks post-operatively. About 10 years. After the surgery the ageing process continues at its natural rate. Some patients do request a repeat operation some 10 years later – it is usually no more difficult than before. As with any surgical procedure, there is a small risk of complications. Surgery and anaesthesia is very safe and it is most unlikely you will experience any difficulty. However, there is a small chance that a minor complication such as bleeding or infection may occur. Expect scarring following surgery to be minimal, unnoticeable, and take up to two years to mature. It is possible for scarring around the earlobe to result in tightness and tethering. Scarring behind the ear can become lumpy and uncomfortable for a number of months. Scarring in front of the ear may cause tightness. These are all uncommon. Swelling and bruising: Bruising and swelling is usual and varies with each patient from being virtually invisible to extensive. Most bruising and swelling settles over 1 to 2 weeks, although some take longer. You will notice some relaxing in the tightness of the face as the final swelling settles. Stretching of the skin by post-operative swelling is an inevitable minor consequence and is usually complete within about three months. Fine wrinkles may return during this time. Facelift involves facial dissection very close to the course of the facial nerve. This major nerve of the face is responsible for movement of the face, particularly around the mouth, nose and eyes. It is possible though extremely unlikely that some temporary or sometimes permanent weakness of a part of the face may result following facelift. Dr Drielsma has never seen permanent weakness following a facelift in his patients. You will be receiving a general anaesthetic and your anaesthetist will be discussing with you possible discomforts following anaesthesia. Again, anaesthesia today is very safe and no major problems should be concerning you. Your anaesthetist will answer any questions you have regarding your anaesthetic at the time of surgery. Costs of surgery will always differ from surgeon to surgeon. There is a range from “cheap and nasty” to ridiculously overpriced in the market place. Do your homework. This way you will be happy with the quality of service and experience on offer. Beware of the pitfalls of shopping around for the cheapest costs for this operation as this is the wrong way to choose your surgeon and may leads to disappointment with results. Remember surgery is not like purchasing a TV or a computer. The product is not a commodity and what you get will differ depending on who you choose to perform your surgery. Dr Drielsma offers a good value price structure for breast lifting but his patients choose him on reputation and results, not the cheapest price.